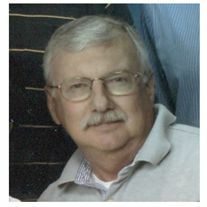 Ronald Terry Salmon, of Heartland, Texas, was born on May 9, 1946 in Marshall, Texas. He passed away in Dallas Regional Hospital’s emergency room in Mesquite, Texas, on Wednesday, August 5, 2015, on his 43rd wedding anniversary. Visitation and funeral services will be held Saturday, August 8, 2015, at 1:00 pm at First Baptist Church, in Forney, Texas. Burial will take place at Seaman’s Cemetery in Chester, Texas, on Sunday, August 9, 2015 at 1:00 pm. Ron was preceded in death by his parents, Virginia and Robert “Bob-Bob” Salmon and Aunt Annie Mary Seamans. He is survived by: Sue Salmon, of Heartland, Texas, wife of 43 years; daughter Maegen Sumrak and husband Ben, of Rockwall, Texas; daughter Meredith Lemons and husband Brantlee, of Colorado City, Texas; grandchildren Colby and Evan Sumrak and Brooklyn and Breck Lemons; cousins Waynette Seamans and Kay Ellen and Ben Wallace; Uncle H.O. Seamans. Ron was born and raised in Marshall, Texas. He was a member of the Boys Scouts of America, achieving the rank of Eagle Scout. Ron received a bachelor’s degree from East Texas State University, and then went on to serve as a member of the United States Air Force Reserve. 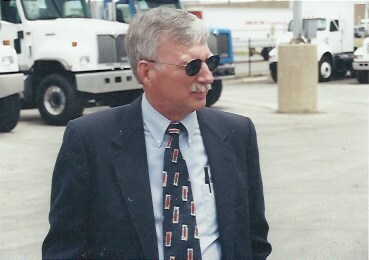 His professional career consisted of working in the trucking industry as a salesman and dispatcher. The Texas Rangers and Dallas Cowboys schedules and scores were knowledge Ron always knew. November 1st was a sacred day for him, as he was passionate about deer hunting. He was always ready for a grand vacation with his family. Tuesday mornings were reserved for golfing with his friends. He was an active member of First Baptist Forney. He most enjoyed his role as “Pa-Pa” to his four grandchildren.